Casa Goyo has been located for 40 years a few metres from the airport of Villa de Mazo and is one of the most peculiar places of the island of La Palma. Don Gregorio Camacho Martin founded Casa Goyo when there was the need to feed the workers of the airport of Villa de Mazo while this it was being constructed. Since then, the mouth to mouth did the rest since those workers started recommending it to other people until Casa Goyo turned into one of the bars/restaurants with more reputation of the island of La Palma. La Palma has experienced in the last couple of years a great growth in the restaurant sector, not only in the number of establishments but also in the quality offered. There are more and more establishments that open up to offer local food with quality. This is what Dácil has achieved with El Jardin de Los Naranjos. The perfect way to define this restaurant is complete “Canarian Style”. Located in the most Southern part of La Palma, it concentrates all the wisdom and the art of a good kitchen. In the same seaside avenue of the capital of La Palma you will find this typical restaurant, which offers local traditional food. A restaurant that has kept the traditional cuisine. 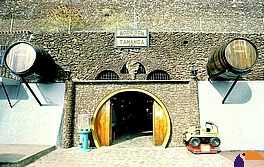 This mythical bar is present in almost all the Canary Islands and was founded the 27 of November of 1992, by a couple of young entrepreneurial people from Santa Cruz of La Palma, and since then it has become part of the lives of the locals. Do not miss the opportunity to discover not only good food at this tasca but the professionalism and the service that their members offer. Tasca La Cuatro besides offering an exquisite variety of warm dishes or tapas, it also has a great selection of good local wine and above all, it offers the Noches de Saxo para Ti Saxo nights. The Estipalma bar-restaurant is an ideal place for any hour of the day. It opens its doors very early, to service the faithful early riser who likes their coffee. Like in the rest of the Canary Islands, La Palma has an ample gastronomical offer. The “palmero” has found two historical monocultures, the sugar cane and the wines; their two bets in the traditional gastronomy. One of the great exponents of this traditional kitchen is the mythical Bodegón Tamanca, a place known by palmeros residents, and recommended to any tourist on the island whose pretension is to eat in a most delicious way at a good price.